Homosexuality is not currently accepted in Ukraine, but the leader of their new nationalist church says, "Now we need to work on it, so Ukrainian society would accept it." -- Thank you CIA! The fruits of opting for servitude to the West. Bartholomew, the Patriarch of Constantinople, recently helped the Ukrainian Presidentcreate a new nationalist church group in Ukraine. A man named Epiphany Dumenkowas then made the leader of this schismatic new group. In a recent phone conversation, “Metropolitan” Epiphany Dumenko said that this newly-created Ukrainian Church needs to work on softening its views towards the LGBT community and supporting the homosexual community in Ukraine in order to not be like the conservative Russian Church. 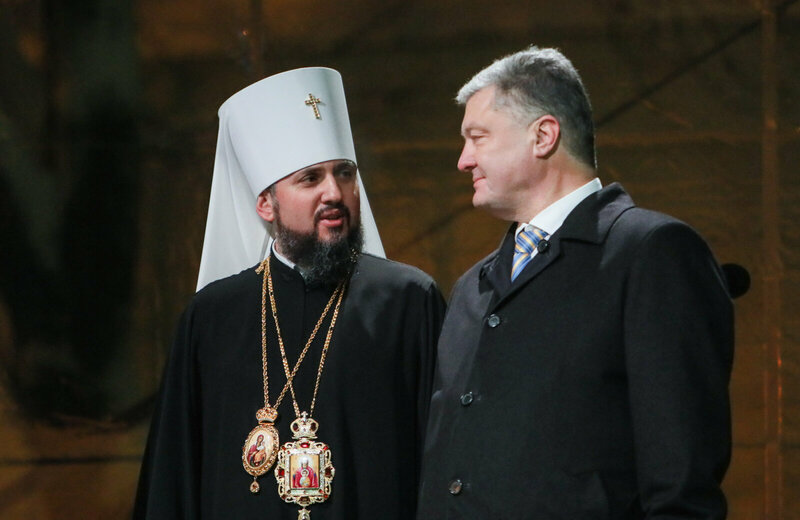 The Ukrainian nationalist church’s press service later acknowledged that the call had taken place and stated: “During the conversation, Metropolitan Epiphany got a feeling that it was a provocation, so he ended it,” but not before he spoke with the pranksters for at least 15 minutes.